Soft cyberwar. Hacking and fake news: A threat to democracy and the international order? Why go to war with any liberal democracy if you can manipulate their elections to achieve your goals? 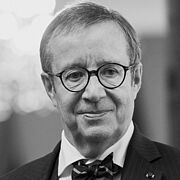 In a follow-up to the 2017 Munich Security Conference, Toomas Hendrik Ilves, President of Estonia 2006-2016, will discuss the threat posed by 'soft' cyberwar. Tactics such as hacking and 'fake news' threaten both international relations and domestic democratic processes. The global security community has until now mostly focused on preventing cyberattacks on networks and infrastructure. But the recent US election meddling, attributed to the Russian government, has focused attention on manipulating the fears and beliefs of the general public, influencing voters through the use of their own basic freedoms such as a free press. This threat is also asymmetric: liberal democracies can’t manipulate elections in countries where elections don’t matter. The threat is not just at home, but also one of international order. The discussion picks up on the agenda points and conclusions of the Munich Security Conference 2017 which will take place from February 17 to 19, 2017. Toomas Hendrik Ilves was elected president of the Republic of Estonia in 2006 and re-elected for a second term in office in 2011. During his presidency, Ilves has been appointed to serve in several high positions in the field of ICT in the European Union. He served as Chairman of the EU Task Force on eHealth from 2011 to 2012 and was Chairman of the European Cloud Partnership Steering Board at the invitation of the European Commission from 2012 to 2014. In 2017 he joined Stanford University as a Bernard and Susan Liautaud Visiting Fellow at the Center for International Security and Cooperation in the Freeman Spogli Institute for International Studies. Ilves received a degree from Columbia University in 1976 and a master's degree in psychology from the University of Pennsylvania in 1978. After starting off as a researcher and analyst at Radio Free Europe in Munich, Ilves served in Washington as the Ambassador of the Republic of Estonia to the United States and Canada from 1993 to 1996. He then served as Minister of Foreign Affairs from 1996 to 2002. From 2002 to 2004, Ilves was a member of the Estonian Parliament and in 2004 he was elected a member of the European Parliament, where he was Vice President of the Foreign Affairs Committee. 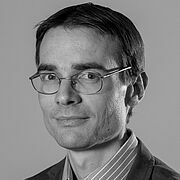 Ben Scott is Senior Advisor at two public policy think tanks – New America in Washington DC and Stiftung Neue Verantwortung in Berlin. During the 2016 election, he coordinated the technology policy advisory group for the Clinton campaign. Previously, he was Policy Adviser for Innovation at the US Department of State where he worked to help steward the 21'st Century Statecraft agenda with a focus on technology policy, social media and development. Prior to joining the State Department, for six years he led the Washington office for Free Press, a public interest organization in the US dealing exclusively with media and communications policy. Before joining Free Press, he worked as a legislative aide handling telecommunications policy for then-Rep. Bernie Sanders (I-Vt.) in the U.S. House of Representatives. He holds a PhD in communications from the University of Illinois. Wolfgang Ischinger is Senior Professor for Security Policy and Diplomatic Practice at the Hertie School of Governance and Director of the school’s Centre for International Security Policy (CISP). He has been Chairman of the Munich Security Conference since 2008.